all individually tailored to increase the value of your home and create your perfect living space. View our details in the FreeIndex Home Improvement directory. 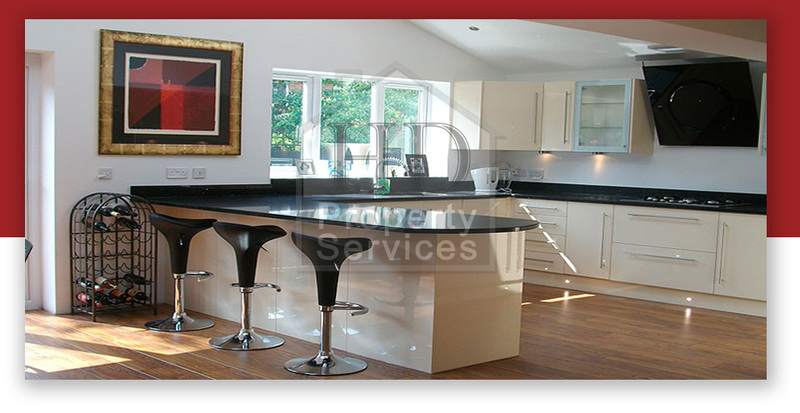 Every building, property renovation & refurbishment service you need from one established company! Save time and expense by using us as a single source solution for all of your property building services and home improvements. tiler, painter, decorator, carpenter, fencer or roofer? so you can avoid wasting precious time chasing around different tradesmen for different quotes. (which can be increased if required). At HD Property Services Limited we know good communication with our clients is of paramount importance; this ensures successful projects that fulfil (and often surpass) customers' expectations - just see some of our customer reviews & referrals for yourself! The dedication of our property services team ensures all building & renovation projects adhere to strict quality control standards and they are completed on schedule within budget. The company is a member of the UK Trades Confederation and we use Gas Safe registered engineers where required and Part P or NIC EIC registered electricians for all domestic work. With such commitment to a first class property service, we can proudly confirm that most of our work arrives by way of customer referrals. is good quality and a lasting reputation. 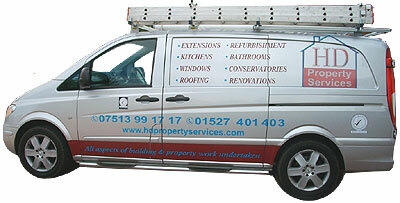 Extensions, renovations, conversions, bathrooms, kitchens, plumbing, plastering, tiling, fencing, carpentry, roofing. Builders, Plumbers, Electricians, Plasterers, Tilers, Painters, Decorators, Carpenters, Fencers, Roofers. Throughout the Midlands: Worcestershire, Warwickshire, Staffordshire.